Call us Today if you have any questions not answered below @ 630-369-1700. Can you give a price indication over the phone? Yes we can, but we will need a full plan to give you a precise quote. That is why we arrange for someone to visit your home to provide you with a free, no obligation quotation. 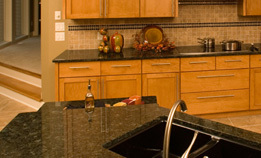 Can I see the Granite before I purchase it? Yes, you can visit our showroom and warehouse, but also, all of our measurement crew carry a large range of granite samples with them, so you can see and feel the granite. Do I need to be present for the templating and fitting? Ideally yes, this will then allow us to deal with any queries that may arise, to ensure you get exactly what you want. Do you do any of the plumbing or electricity work? No. You will need to see your plumber / electrician for any of this work. 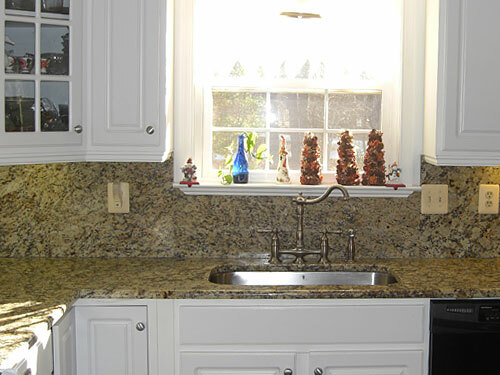 Marble & Granite Inc also had negotiated rate with various licenses and bonded plumber 7 electrician in your area. Please contact us for more detail. Will we mount sink to the Counter Tops or Vanity Tops? Yes, we will mount all sinks to the Counter Tops. What do you need to template? You must ensure that all base cabinets, fixtures and fittings are in place so that we accurately obtain the right measurements and dimensions. Can I add to my tops at a later date? Yes, once we have a digital template, it can be stored until you are ready. Can I see the finished product? Of course. Please visit our showroom for an example. Yes. You may attend our showroom or one of our operators will visit you. Do I need to seal my Stone Tops again from time to time?